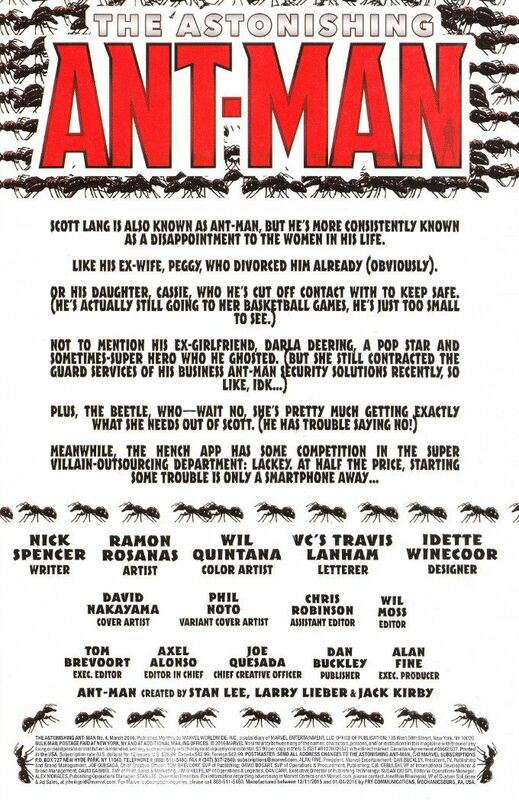 Astonishing Ant-Man has one of the best title pages in the business. Not only does it offer a helpful recap of the series so far - it also makes you laugh! We should expect this sort of thing from Nick Spencer, of course, but it's still a nice touch. Spencer understands what far too many Marvel writers failed to grasp about lovable loser heroes like Scott Lang or - until recently - Peter Parker. Namely that is isn't fun for readers to see a loser lose all the time. Keep dumping tragedies on a hero and you destroy any sense of fun. Therein lies the irony of Scott's life and the secret to his likability in this series - he's good at being a superhero. Unfortunately, being a superhero doesn't do much to pay the bills and Scott's heroic instincts are about the only thing he has going for him. He stinks on ice as a businessman, a father and a judge of character but you admire him more than you feel sorry for him... even if he has been reduced to working security for an ex-girlfriend and is parenting by proxy to keep his daughter safe. 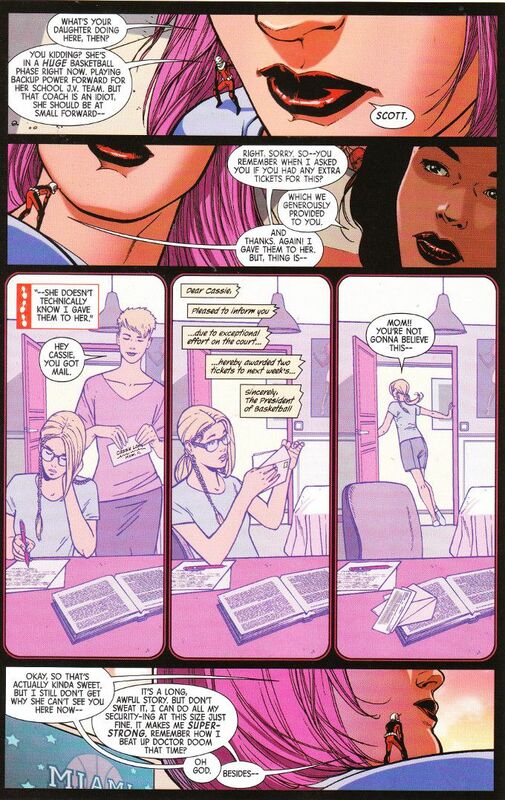 Ramon Rosanas art is the perfect match for Spencer's script. Rosanas has a great gift for expressions and comedic timing. The color art by Wil Quintana proves equally adept, with a variety of tints being used to subtly mark flashbacks and other special scenes.